I have been thinking about alpacas following the "Alpaca Kiss" that I received at the AlpacasFest organised by the Australian Alpaca Association during my visit to Hamilton and the Southern Grampians. 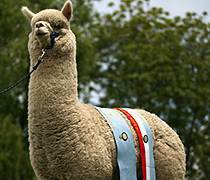 Wondering what it was like to be in the alpaca industry, I caught up with 3 qualified, interesting and friendly people on the various aspects of breeding this most alluring animal. 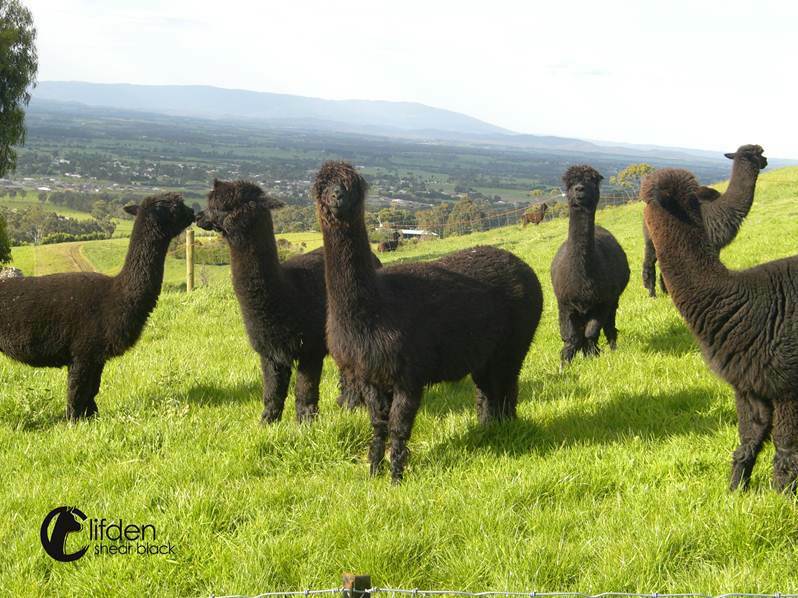 Jeffry Farman of Flowerdale Alpacas has been breeding alpacas for 12 years on his 150 acres in Strath Creek, Victoria. He had no previous farming experience, having owned an advertising agency for 20 years before venturing into the hospitality industry, owning and operating 2 residential conference retreats. His successful breeding program has produced show winners since 2002. 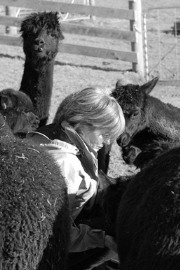 Lindy Smith of Clifden Alpacas has been breeding black Huacaya alpacas in addition to her Belted Galloway cattle for more than 5 years. She too was not always in the alpacas industry, originally trained and worked as a Speech Therapist in Queensland, then a homemaker and later worked in administration for a number of not-for profit organisations. Paul Vallely of Australian Alpaca Fibre Testing (AAFT) originally spent 20 years in the NSW criminal justice before venturing into commercial wool growing and then into fibre testing. In addition to alpaca fibre testing, Paul has also completed research and trials involving fleece marketing, breed selection using skin traits, application of fibre measurement on alpaca fleece variation and relationship between objective fibre traits and key price drivers for alpaca fibre. He created the Ultrafine Bale Scheme, the National Alpaca Fibre Seminars, the Premium Alpaca concept and was a founding member of Alpaca Ultimate. 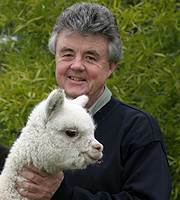 Paul also regularly conducts various breeding and fleece workshops and often speaks at major alpaca seminars including three international conferences. Lionel: What's happening in the alpacas industry? 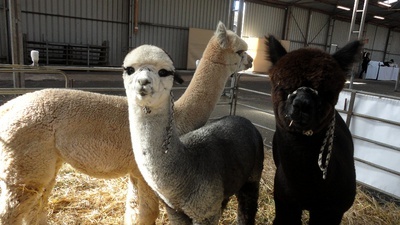 Lindy: The alpaca industry is expanding worldwide and within Australia. Animals were first introduced to Australia in the 1880s but that did not succeed. They were reintroduced in the 1980s and have progressed since then, particularly because of Australia's long history and expertise in wool production. There are several well established breeders exporting animals worldwide now. Jeffry: Australia has the second largest herd in the world outside South America. There are over 150,000 alpacas. The industry is now well established in NZ, USA, UK, Germany and growing in Asia, Italy, Spain and South Africa. In Australia and most of these regions, there is an alpaca association that provides for the advancement of the industry. Paul: The alpaca community has for many years witnessed volumes written about the development of a viable alpaca fleece industry. The ideas have been heavily garnished with a lavish array of theories, promises and claims. Increased successes recorded in the areas of genetic improvement, marketing initiatives and product promotion is helping to create a viable alpaca fleece industry. Lionel: What made you get into the alpacas industry? Jeffry: I first saw alpacas on a holiday to South America in 2000 and was fascinated with these curious and friendly animals. 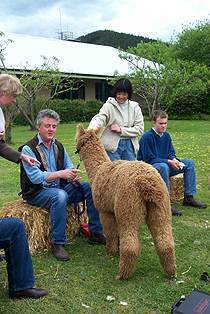 Back in Australia I discovered there were already 1,800 registered alpaca breeders with most being small hobby farms. I found the ease of handling these animals compared to sheep, goats, cattle and horses, and the intelligence of the alpaca compared to those animals and their gentle, curious nature makes them good to work with. Furthermore their babies (cria) are simply adorable. Lindy: I fell in love with the alpacas' unique characteristics, individual personality traits and low environmental impact. Paul: I have been breeding superfine merino sheep wool through genetics and testing. The success of my breeding program was to be the foundation of the 'Premium Alpaca' concept now being coordinated by AAFT. I started to offer merino sheep wool testing services and about 4 years later, a number of alpaca breeders asked me to test their alpacas. Today, AAFT tests over 30,000 alpacas a year worldwide. Lionel: How do you generate income as an alpaca breeder? Jeffry: There are actually many ways including the sale of animals to new and established breeders; mating fees for services from our superior stud males; sale of fleece; agistment fees for alpaca breeders who do not yet have their own land; sale of alpaca product such as raw fleece for spinners and handicraft people, and alpaca garments like hats, scarves sweaters, throws from our shop. The dollar value is measured by quality of animals – pedigree, show results, fleece traits, reputation of the breeder and demand for the blood lines. A wethered male start at AUD400 to AUD500 and pregnant females start at AUD1000 and can range up to AUD50,000. Elite stud males can sell for up to AUD150,000. Lindy: In addition to the sale of my animals, fleece and yarn, I chose to write a children's book, drawing inspiration from my black alpacas. 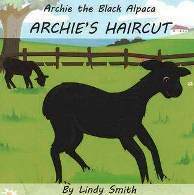 The book titled "Archie the Black Alpaca: Archie's Haircut" is a tale of a young cria adapting to life on the farm and his first experience of shearing. The book is already available from a number of stockists in the eastern states, some alpaca farm shops as well as online from my website. I'm also at shows and fairs with the book. I believe very strongly in the importance of children being read to and this book was also a great way to familiarise people with alpacas. Paul: The opportunity is in supplying to the growing demand for ultrafine alpaca fibre suitable for the burgeoning luxury garment market. Now in its 8th year of operation, the "Ultrafine Bale Scheme" is spearheading the Australian alpaca fleece industry's push onto the world's premium apparel market. Noted researchers, fashion houses, manufacturers and processors such as Merino Gold, Creswick Woollen Mills, CSIRO, Ermenegildo Zegna, Jo Sharp Knitwear and many others are on this bandwagon. Through a national fleece consigning and marketing scheme known as "Premium Alpaca", a bale of ultrafine alpaca fibre produced by Australian alpaca breeders broke two world records. 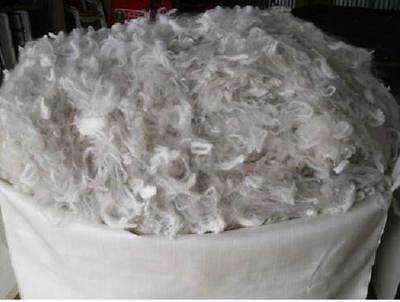 Fleeces that successfully meet ultrafine bale have been earning up to AUD70 per kilogram. Lionel: What do you love most about being a breeder? Jeffry: I enjoy showing animals where there is an opportunity to network and meet other breeders while demonstrating the success of your breeding program. Doing well in the show rings as an endorsement of your breeding success. I also get to contribute to nature and improve the habitat for native animals and birds on my farm when I plant trees. Lindy: I love the interaction with the alpacas, watching them grow and develop, and the opportunity to develop the farm and environs, hopefully leaving the land in a much better way than when we acquired it. Lionel: What is the outlook or future for the alpaca industry and business? Jeffry: The future of the industry is in the sale of breeding stock, principally to new breeders. Prices will come down as numbers increase to the point where commercial fleece herds will emerge. Of course there is the challenge of selecting the right stud male to compliment your female, leading to an improved outcome. Not all good males will provide this result. I am helping to raise awareness of alpacas by running regular workshops for new breeders seeking to join the industry and looking for a pastoral lifestyle. They may be business people planning for retirement or young people wanting to give their children a rural lifestyle. We cover all of the questions including alpaca breeding and husbandry, farm planning, industry prospects, developing and running an alpaca business, showing and marketing alpaca. I also offer residential weekends for new breeders investigating the industry. 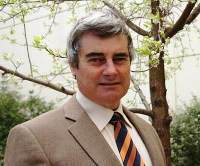 Australia is leading the world in scientific breeding techniques. There are research grants available from government authorities from time to time and the industry has been involved in a number of projects. We were the first to offer embryo transfer as a commercial enterprise. Our country will probably be the first to offer artificial insemination when the technique in alpaca is perfected. The demand from the international market for high quality fibre currently outstrips supply. This will continue for some time. Lindy: My personal belief is that for the industry to continue, a meat market will need to be developed. This provides another avenue to deal with culled animals not suitable for breeding. Presently wethers are used as herd guardians and non-breeding animals are sold as pets or companions. There have been a few fledgling attempts to start a meat industry and presently there is some broad acre farming and meat production in an area of New South Wales. Increasing awareness of alpacas and the unique qualities of the animals and their fleece is still a major challenge. Paul: In recent years, the Alpaca industry has made significant progress towards establishing itself as a key supplier of raw fibre to the global textile and craft markets. By far, the main driver is fibre diameter – with soft handling luxury garments requiring ultrafine type microns, although luxury product ranges can also include fibre diameter up to 24 microns. In order to produce these beautiful fleece types, the "Premium Alpaca" concept recommends a general breeding regime that encompasses the scientific principles of genetic improvement through direct selection of highly heritable traits. To this end, a significant number of alpaca breeders who have adopted the concept have recorded substantial improvement in their fleece statistics. It might be noted that some of their fleeces are now selling for more than AUD100 a kilogram. The marketing and promotion of the quality fibre is also important. The supply of premium alpaca fibre must be linked to brand recognition. Premium Alpaca brands and labels will include positive messages of welfare driven husbandry, environmentally conscious practices, quality assurance systems and images of luxury and comfort. 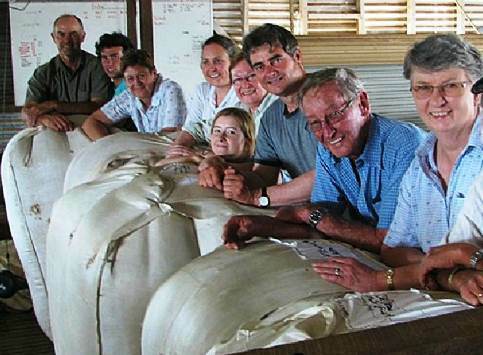 An example of brand recognition is the successful Ultrafine Bale Scheme label being applied to consignments that make the strict 'Ultrafine' criteria. The most effective marketing program, however, will be wasted unless a consistent supply of premium alpaca fibre is being produced.